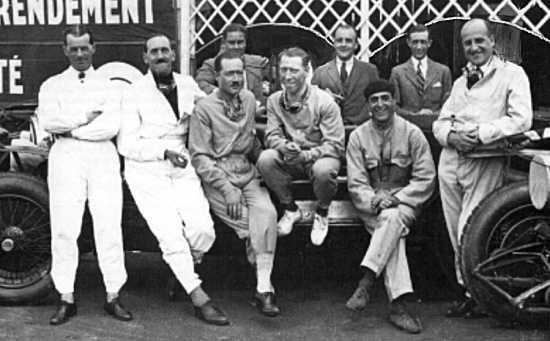 Despite many heroic victories in the Vingt Quatres Heures du Mans both Jaguar and Bentley endured their fair share of disasters, but perhaps none more dramatic than the infamous “White House” crash during the 1927 race, which claimed two of the three Bentley Motors’ entries. W.O.Bentley entered three cars; a 4.5 litre prototype carrying race number 1 and nicknamed ‘Old Mother Gun’ and two 3 litre cars; numbers 2 and 3 (the latter nicknamed ‘Old Number 7’). 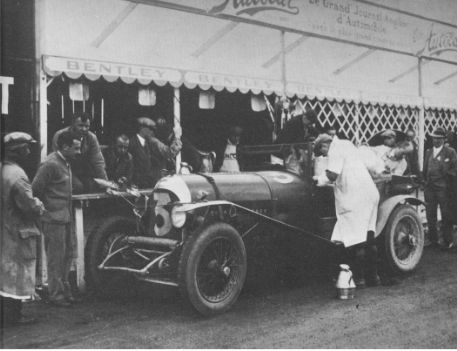 It was this car which had led most of the 1926 race, only to withdraw with an hour to go. Leslie Callingham and Frank Clement (who won the 1924 race in a Bentley 3 litre), led away from the start in ‘Old Mother Gun’ and within a few laps had smashed the lap record. All three Bentleys took command of the leading positions, dominating the race into the night session. The performance of the Bentleys was all the more amazing, as the open cars were forced to run with their hoods erected for the first three hours of the race! Just after 9:30pm, Frenchmen Robert Poitier and Pierre Tabourin were leading ‘Old Mother Gun’ in their Thèophile Schneider by a mere dozen metres, when the driver misjudged his speed as he entered the virages Maison Blanche (the White House curves, now bypassed by the Porsche Curves), and slewed broadside across the track. To avoid hitting the French car head-on, Callingham threw the big Bentley sideways, but it rolled into a ditch, throwing Callingham onto the track. George Duller, driving Bentley Number 2 arrived to find the circuit blocked and also ended up in the ditch, virtually on top of Bentley Number 1. Sammy Davis, driving Bentley Number 3, must have enjoyed a sixth sense, because he slowed approaching the corner. However, although he threw his car sideways the Bentley hit one of the stricken cars with its right hand side, which ultimately bent the Bentley's right hand rear wheel, the right front wing and the rear axle. In a display of British bravado, Davis leapt from his car to ensure all the drivers were safe, before continuing slowly to the pits, where he and co-driver Dudley Benjafield assessed the damage, effected repairs and struggled on to win the race! 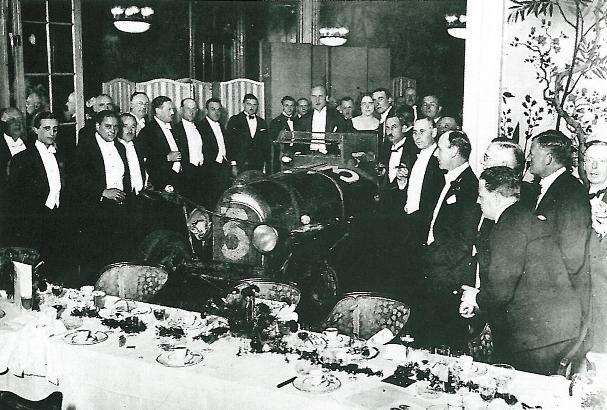 The editors of The Autocar magazine were so impressed they threw a party for the Bentley Boys at London’s Savoy Hotel, at which Old Number 7 was the guest! ‘Old Mother Gun’ was dragged from the ditch, repaired and restored, and went on to win the 1928 Le Mans 24 hour race in a record time! 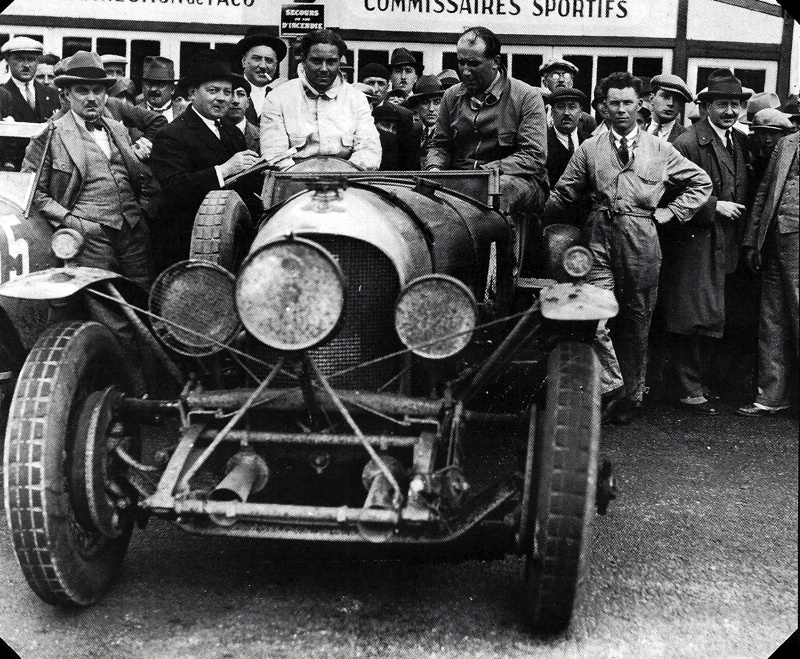 'Old Mother Gun' after winning the 1928 Vingt Quatre Heures du Mans, driven by soon-to-be Bentley Motors Chairman, Woolf Barnato (left) and co-driver Bernard Rubin. 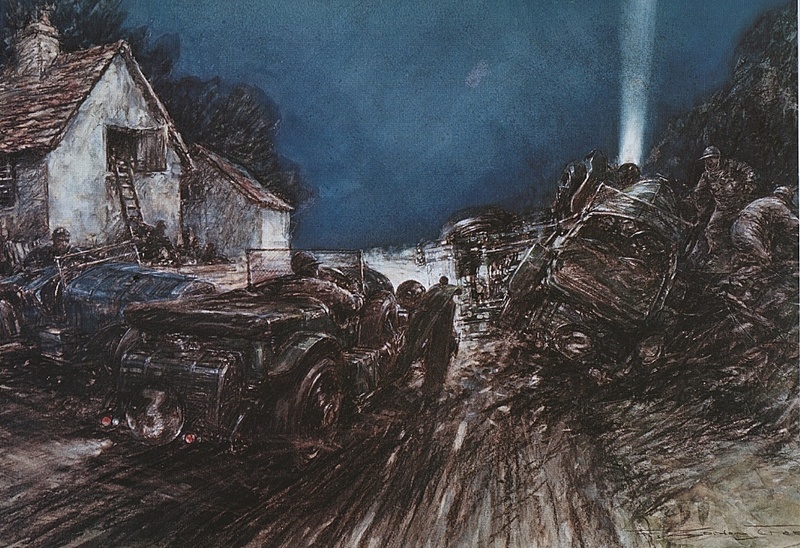 This famous drawing by F. Gordon Crosby of the crash is part of a numbered, limited series of Crosby artwork given to me by Autocar magazine, and reproduced here with permission.